Sweet bear with great instructions and more than adequate supplies. Shipped on time! Directions are clear and easy. I haven’t started it as yet but will very soon! Sheep shearing day at Bear Creek. 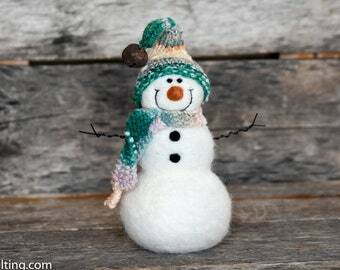 Snowman Needle Felting Kit assembly line. Keeping up with all the orders! Raising sheep at Bear Creek. Sometimes I just have to play with my sculptures! Assembling the needle felting kits. It all started when my daughter asked for a lamb for her 8th birthday. This wasn't such an odd request. We do live on a cattle farm and I had grown up with sheep on my family farm. We had also recently found knitting and had thoughts of spinning our own yarn floating around in our minds. My husband and I decided to get her two lambs and while we were at it we threw in two for me as well. We fell in love with the Romney breed of sheep for their wonderful wool, calm disposition and overall cuteness! We have recently added Blue Faced Leicester and Wensleydale sheep to our flock for a wonderful variety of wool. Over the years our flock has grown to 70 well loved ewes. My interest in learning to spin the wool into yarn led me in a round about way to the art of Needle Felting which would end up changing my life! My daughter and I joined a local spinning guild and while I was toiling over the spinning wheel trying my hardest to learn to spin my daughter was given some felting needles and taught how to needle felt. That evening when my daughter went to bed, I snatched up her felting needles and started playing around. I ended up staying up until 3am "Playing" with needle felting and finished my first needle felted sheep. Of course this led to more sheep and eventually many needle felted sculptures. I found Etsy and what a blessing it has been. 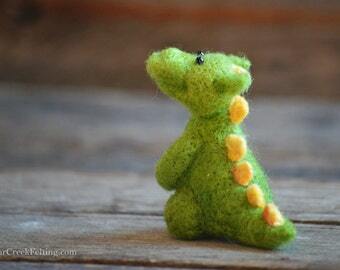 My needle felting passion has grown into a full fledged business. 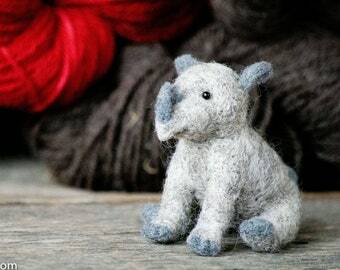 After teaching needle felting locally I decided to design needle felting kits to help others learn this amazing craft. 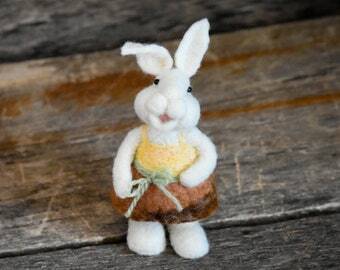 Each kit has been designed to make it easy for beginner needle felters. The kits have everything needed to complete a project including wool from our flock of sheep. There is much done behind the scenes of my Etsy shop. My family is very supportive and helpful. Taking care of the sheep is one of our biggest responsibilities. The shearing and processing of the wool is also an important part of the business. The kits are all assembled by myself with the help of my family. We assemble kits and process the packaging in our basement. Our favorite time of year on the farm is Spring. We love all the babies and caring for them and their mommies. Spring is a very inspirational time of year as well. Spending time with the animals is what inspires me in my felting. 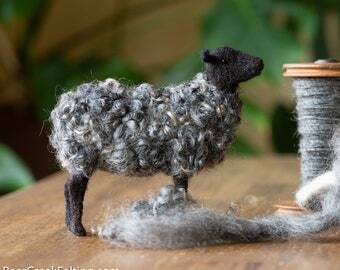 Needle Felting Artist with her own flock of sheep who loves to spin, felt, knit and take pictures. 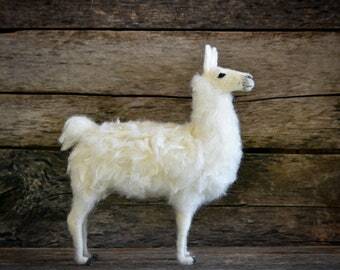 Together we designed and created this amazing tool to make needle felting even more enjoyable. ● Information You Voluntarily Submit to the Website: We may collect personal information from you such as your name or email address. transfer information to us for fulfillment. referring website, pages you viewed, and the dates/times when you accessed the Website. We may also collect information about actions you take when using the Website, such as links clicked. ● Cookies: We may log information using cookies, which are small data files stored on your browser by the Website. We may use both session cookies, which expire when you close your browser, and persistent cookies, which stay on your browser until deleted, to provide you with a more personalized experience on the Website. ● To protect, investigate, and deter against unauthorized or illegal activity. IP address, but no other personal information is captured by Google Analytics. ● Mailchimp – this service is used for delivery of email updates and newsletters. We store your name and email address for purposes of delivering such communications. parties for marketing, advertising, or other uses. Examples of this anonymous data may include analytics or information collected from cookies. cookies to serve ads based on someone's past visits to the Website. Access – You may access the personal information we have about you by submitting a request to teresa@bearcreekfelting.com. Amend – You may contact us at teresa@bearcreekfelting.com to amend or update your personal information. to retain certain information for record keeping purposes or to complete transactions, or when required by law. I am afraid I do not do custom work. I did for awhile and found that it was more stressful and took the fun out of what I do. I have found that I can do better work on an animal that I am inspired to make. That said, I do take requests. I love to hear what my customers would like me to make. I can't guarantee that I will make it but sometimes I am inspired by a request. I keep a list of requests and check it often when deciding what I would like to make next. If you have pictures that is even more inspiring. I try to notify the person that has made the request when I make that particular animal. I post all my new works on my Facebook page, plus I send out an email newsletter. I would be happy to gift wrap and add a note to your package. contact me for a wholesale price list on my needle felting kits. Your Bear Creek Bunnies sell so fast, how can I find out when you list a new bunny? Do you recreate sculptures you have made in the past?